Taste your way through specific wine regions at the Bon Vivant Club. 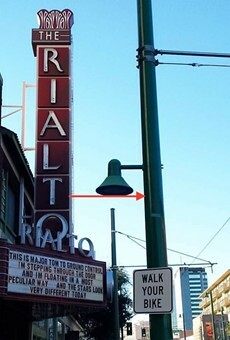 You might not need an excuse to drink, but in case you’re looking for one, Rialto Theatre has you covered this week. Between the Bon Vivant Club on Thursday, December 4 and the AZ Beerd Fest on Sunday, December 7, you’ll have your wine sipping and beer guzzling plans locked in. The Bon Vivant Club, presented by R Bar, will feature tastings of “natural, organic and biodynamic wines” beginning at 5:30 p.m. The monthly series focuses on one specific region, showcasing wine’s ability to showcase that region’s story with five or six different wines. The 21 and over event is $20 and tickets are available through the Rialto Theatre website. However, if you’re more of a hop head, you can sample brews from Borderlands, Pueblo Vida, Oskar Blues, San Tan, and Ska Brewing at the AZ Beerd Fest. Brews are just part of the equation for this event, though, as there is also a facial hair competition and live music courtesy of Hey, Bucko!, The Modeens, and more. The all ages event begins at 4 p.m. (you still have to be 21 or over to drink, obviously) and you can buy tickets for $12 through the Rialto Theatre website.